Poorly managed solid waste has a negative effect on non-formal neighborhoods of Maputo and diminishes its energetic and revenue potential. Proposal Architecture as the catalyst for changing the perception of solid waste in Mozambique. The urban differences between the formal center and the non-formal suburbs of Maputo, the capital city of Mozambique, are tremendous. The suburbs fabric, because of rapid rural-urban migration in times of civil war and the centralization of economic opportunities in the formal center, are very dense and without basic infrastructure and social amenities. Accessibility in the suburbs is one of the main problems of this dense condition which reduces the capacity of the municipality to manage the disposal and treatment of solid waste. Open dumping becomes an unhealthy, and environmental damaging, penalty of this reality. 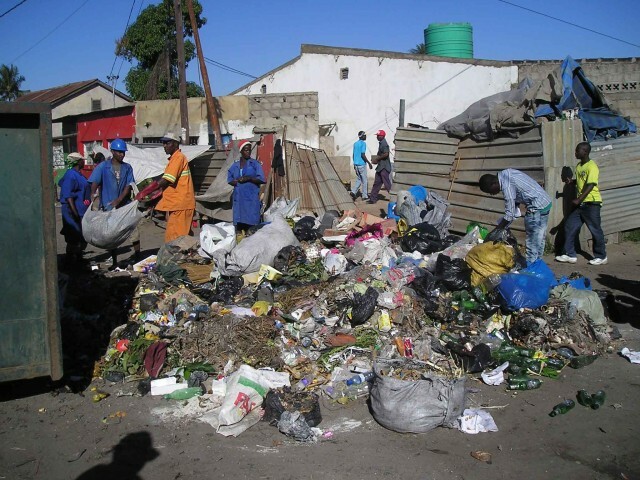 This project proposes a network of socially accepted community-based resource recovery centers in the suburbs of Maputo to reduce waste, improve public and environmental health, support food production and create revenue opportunities for the community within the radius of influence of each center. Community-based resource recovery – with the solid waste separated, collected and kept inside the neighborhoods, this centers will recover the organic waste by an anaerobic process creating biogas, to future generation of electricity or used for cooking, and compost to be used as organic fertilizer in nearby farm area. Socially accepted – in a country were waste is still perceived as a contributor to sickness and unhealthy environments, proposing a solution to manage waste very close to residential areas is very sensitive. In this note, this project proposes to create other amenities surrounding this center to contribute to the acceptance of the community. In the site studied a sports facilities with community gathering space is proposed. Revenue opportunities – a solution with this framework to work needs to have a revenue based goal. Generally community-based organizations don’t have enough funds to grow and maintain a sustainable management of their services. This proposal makes revenue generation a priority.